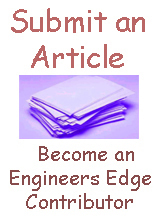 Terms and definitions related to enginereing materials and metals. Chemical elements added for improving the properties of the finished materials. Some alloying elements are: nickel, chromium, manganese, molydenum, vanadium, silicon, copper. A bend in a plate or sheet which results because on edge or side is longer than the other. Camber in flat products is often caused by rolls which are closer together at one end than at the other, or by uneven temperatures in the slab. In rails and structural shapes, the camber is the "up os down" curvature, a distinguished from the sideways curvature or sweep. A process of hardening a ferrous alloy so that the surface layer or case is made substantially harder than the interior or core. Typical case-hardening processes are curburizing and quenching, cyaniding, carbonitriding, induction hardening and flame hardening. The property that permits permanent deformation before fracture by stress tension. The change in length of a tensile specimen expressed as a percent of the varying loads. In the steel, aluminum industry, refers to the type of surface condition desired or existing in the finished product. For cut plates, finish refers to the quality of an edge or surface required for the part to be acceptable. A hot working operation generally involving plastic deformation of metal into desired shapes with compressive force. A term to describe a type of steel that has been modified, usually by adding sulfur, lead, or selenium to increase its machinability. The ability of a steel to harden deeply upon quenching. Any process involving heating metal to an elevated temperature to obtain change in properties or metallurgical structure. A process of rapid cooling from an elevated temperature by contact with liquids, gases or solids. An oxide of iron which forms on he surface of hot rolled material. A process of reducing residual stresses in material by heating to a suitable temperature and holding for a suffient time. this treatment may be applied to relieve stresses inducted by casting, quenching, normalizing, machining, cold working or welding. A condition produced in a metal or alloy by mechanical or thermal treatment and having characteristic structure and mechanical properties. Increase in resistance to deformation (hardness) produced by cold working.